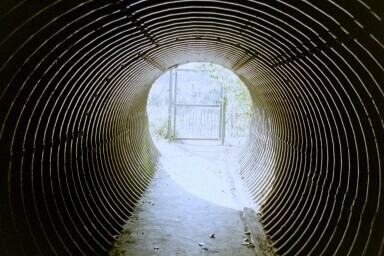 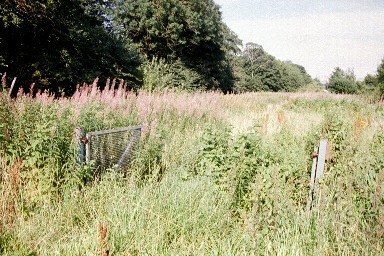 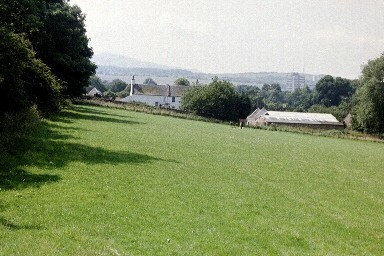 This site was closed in the late 1990s in preparation for a light rapid transport scheme. 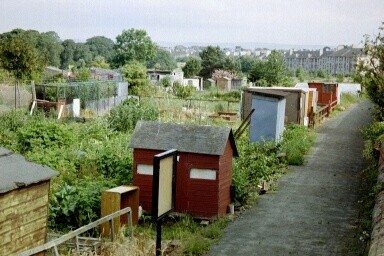 Now it's partly used as a storage area for the trams project. It is likely to be sold for housing. 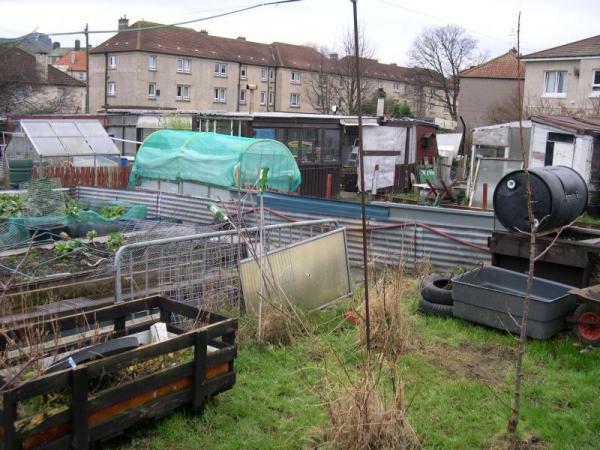 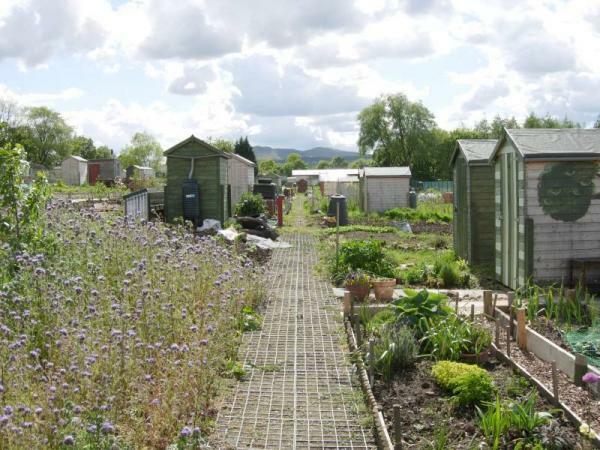 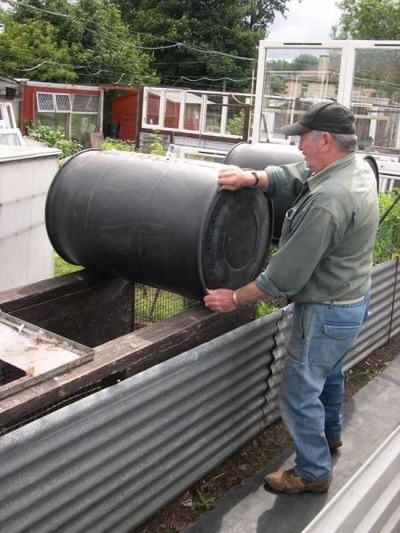 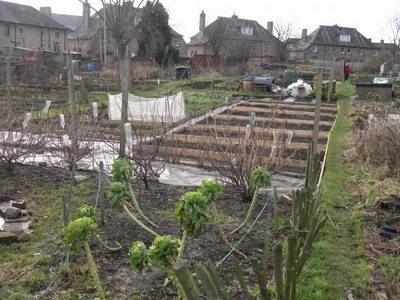 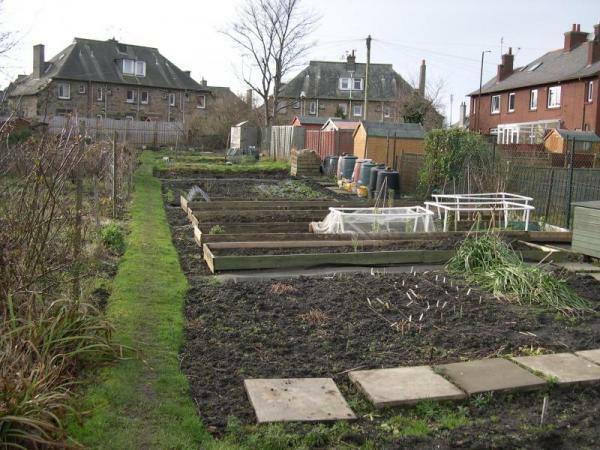 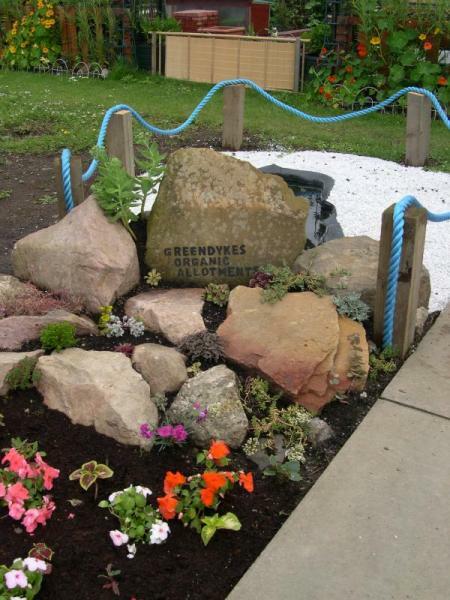 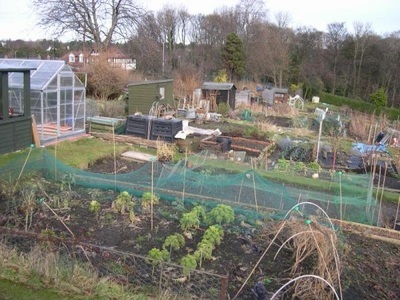 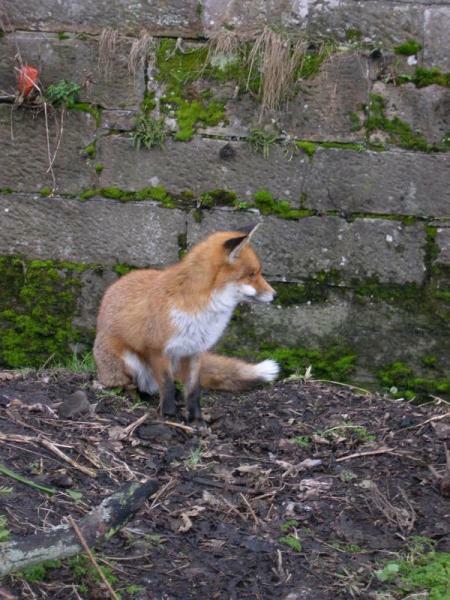 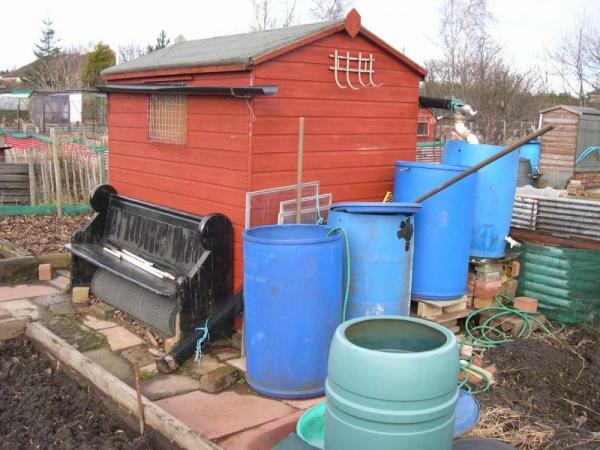 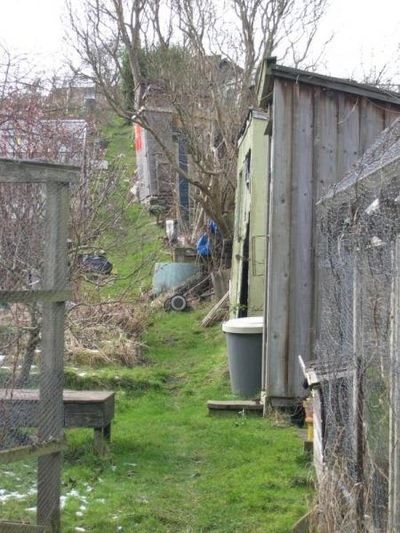 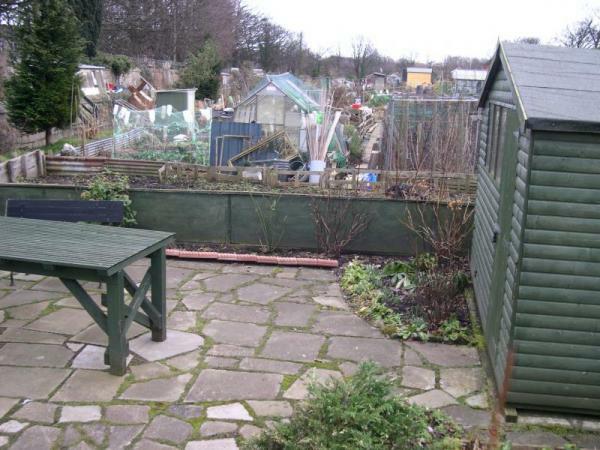 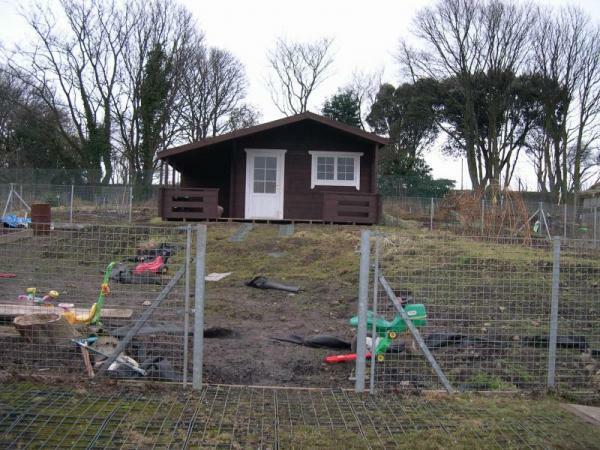 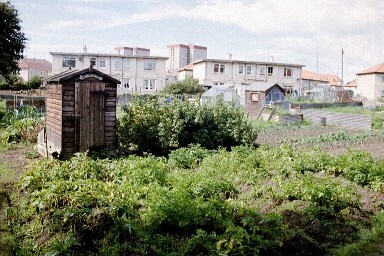 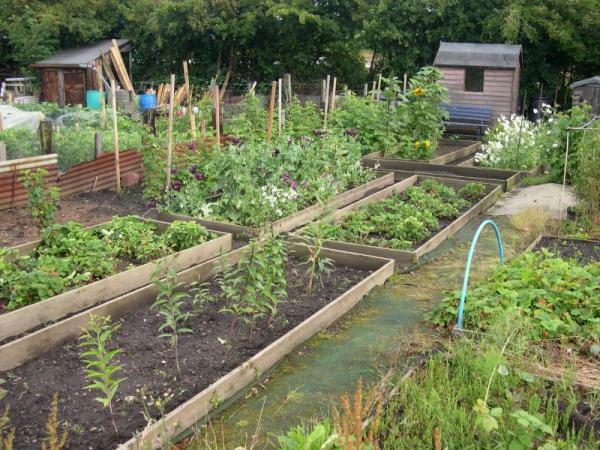 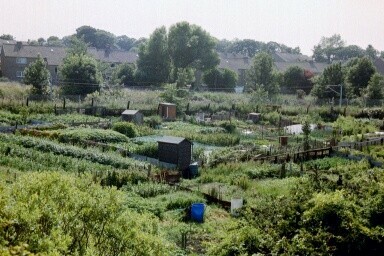 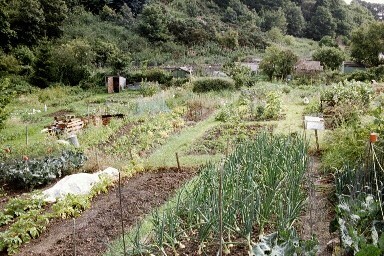 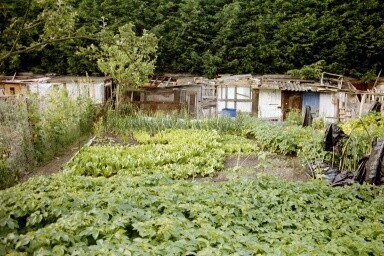 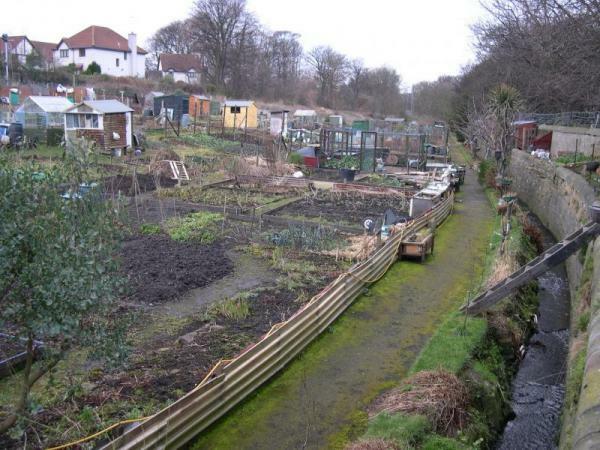 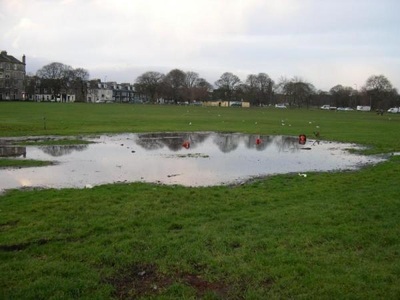 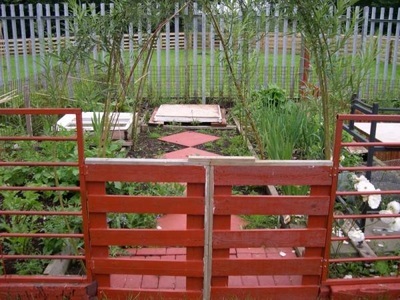 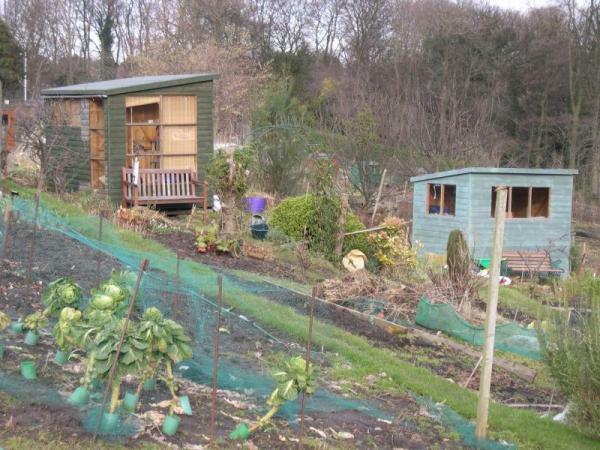 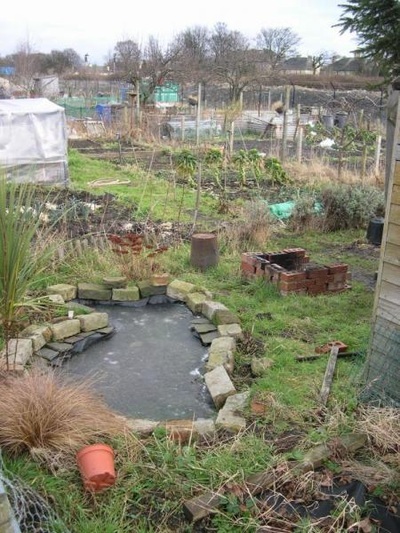 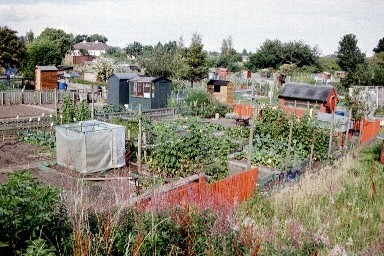 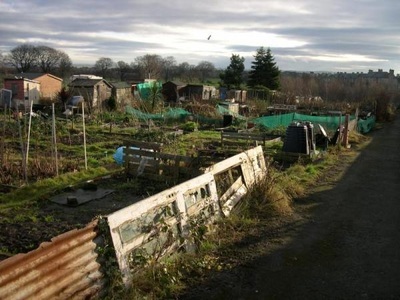 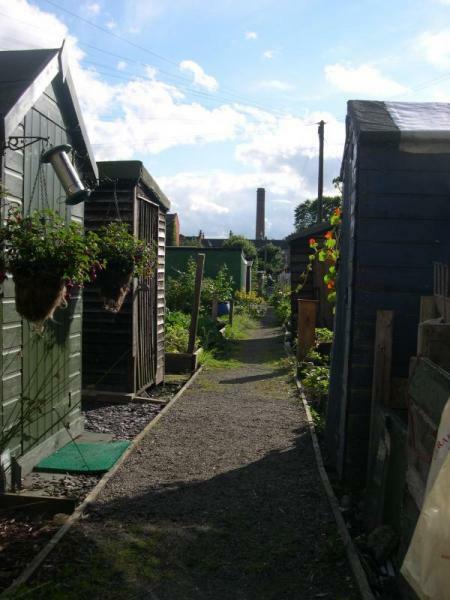 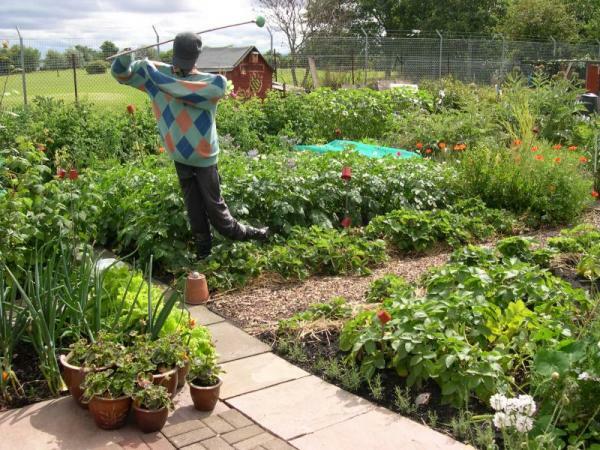 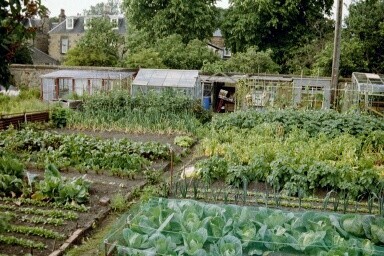 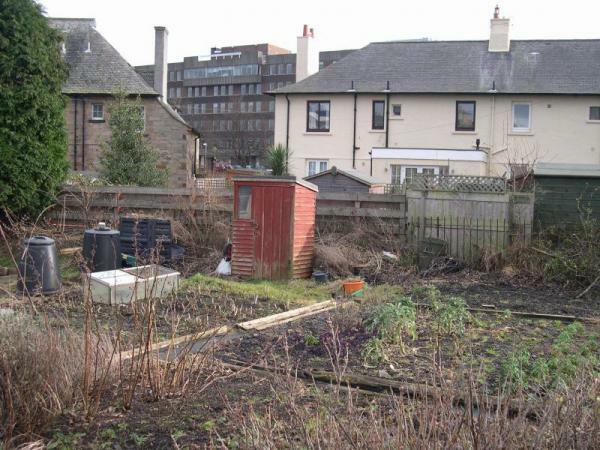 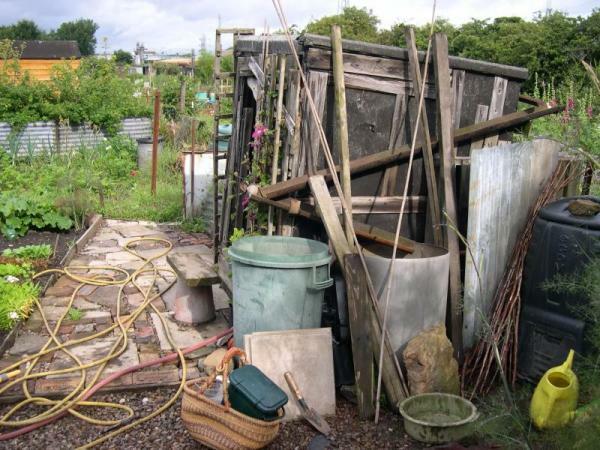 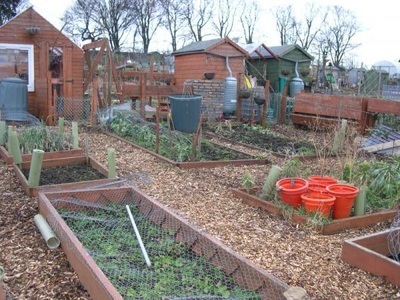 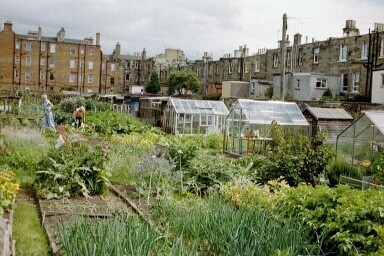 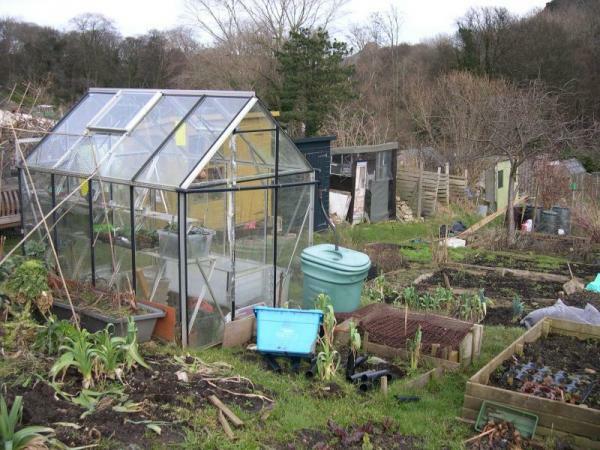 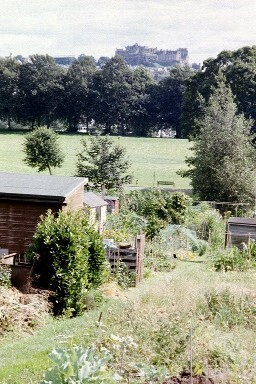 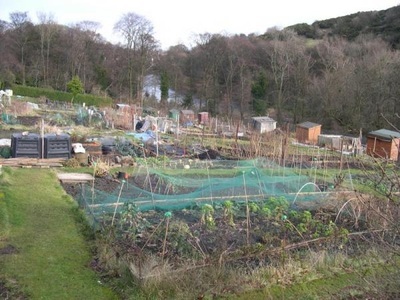 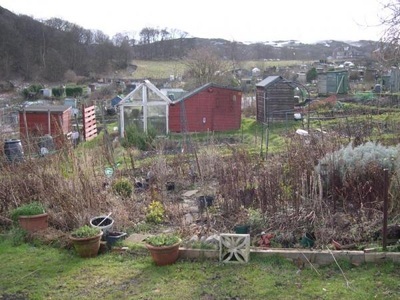 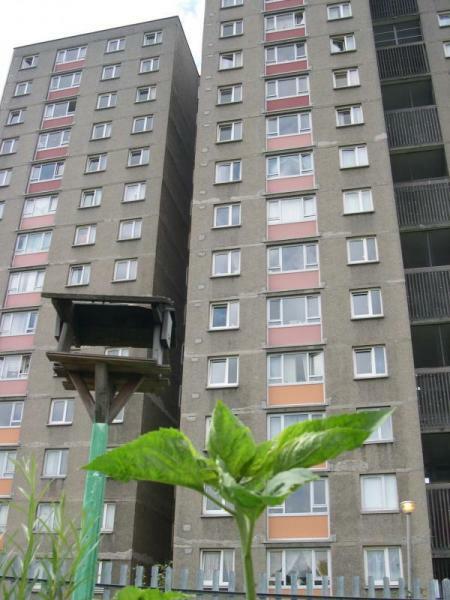 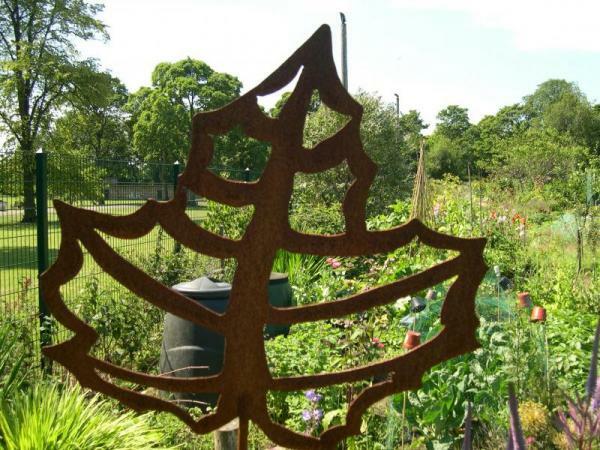 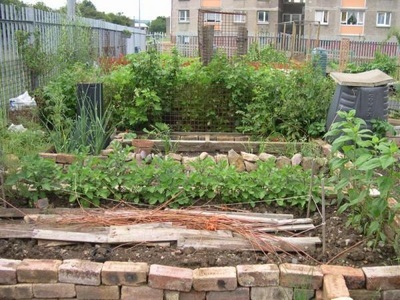 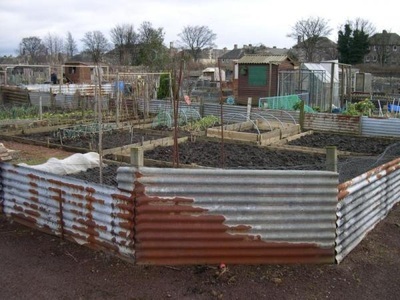 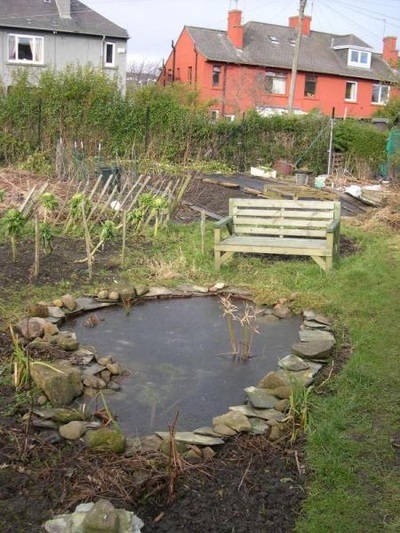 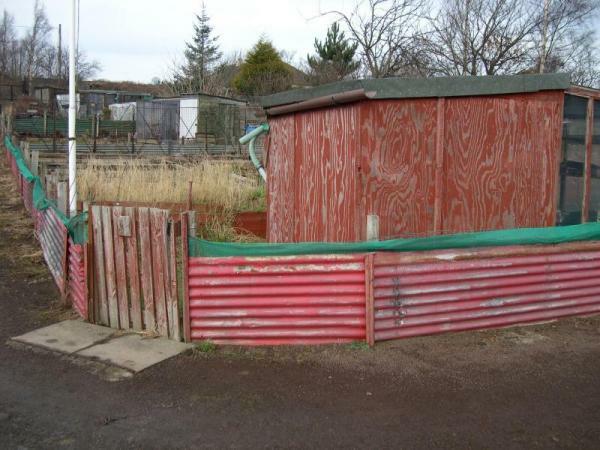 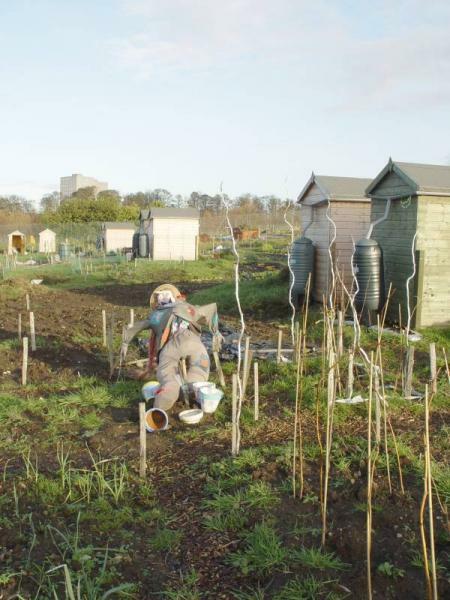 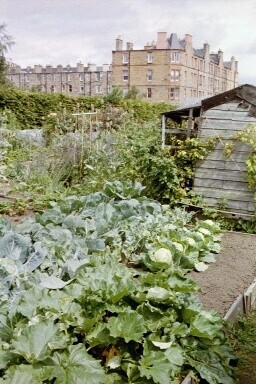 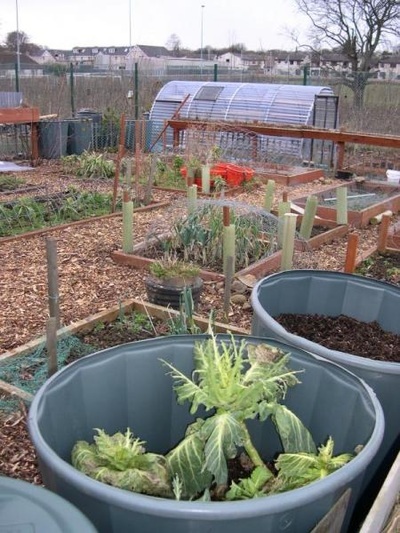 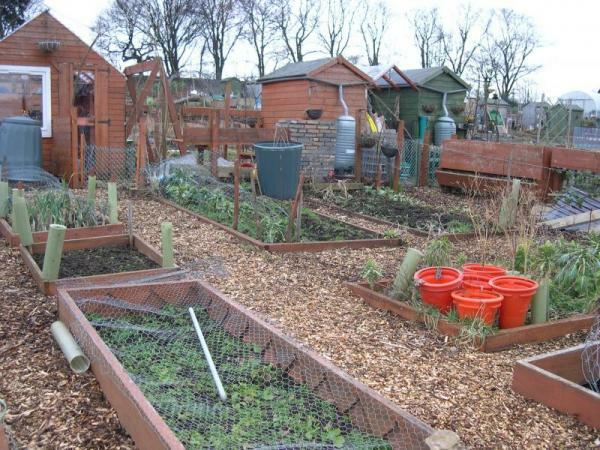 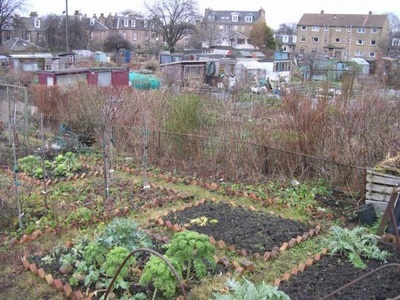 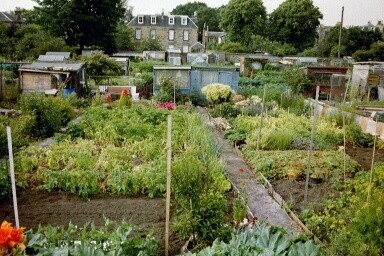 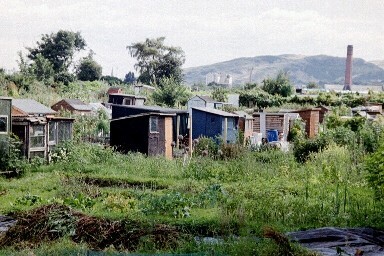 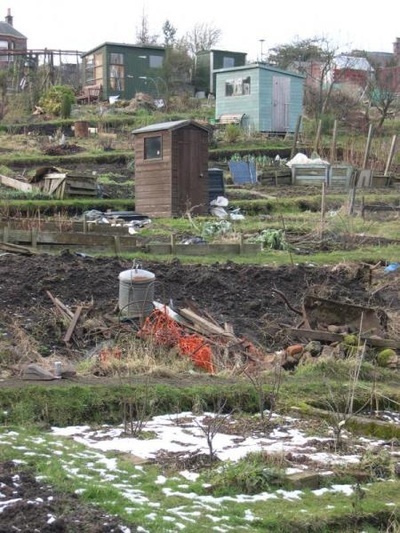 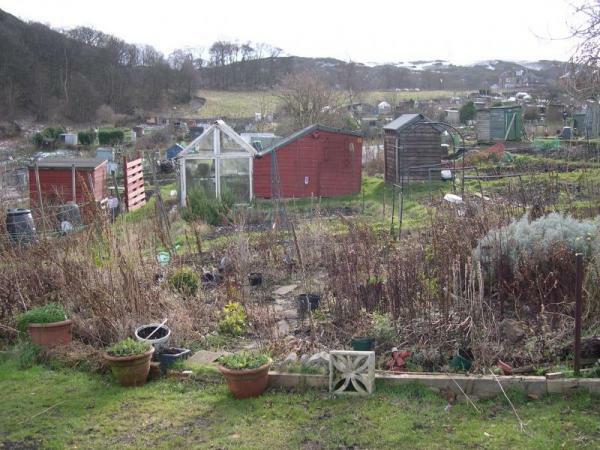 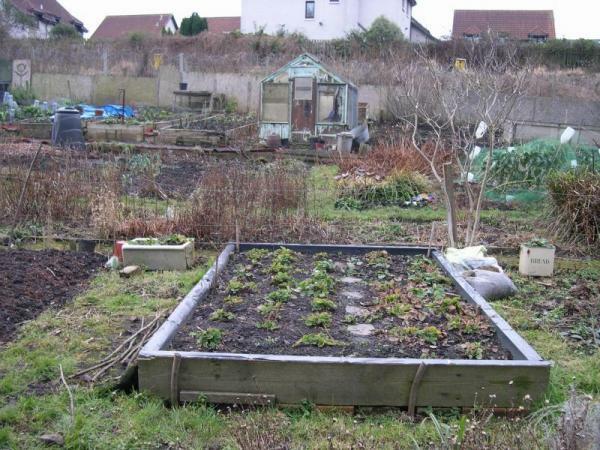 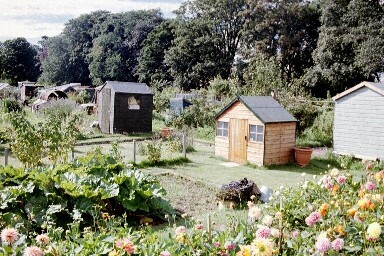 FEDAGA is hoping that extensions to Stevenson Drive and Carrick Knowe allotments will go some way to compensate for this loss. 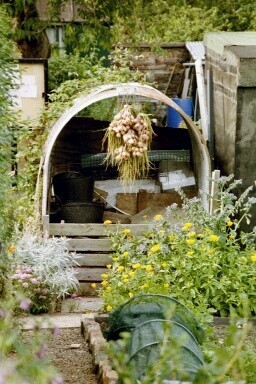 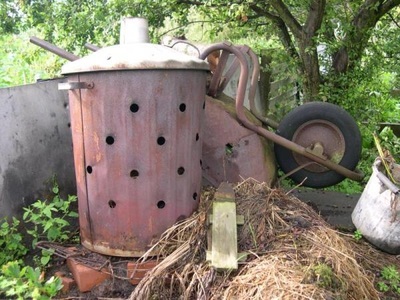 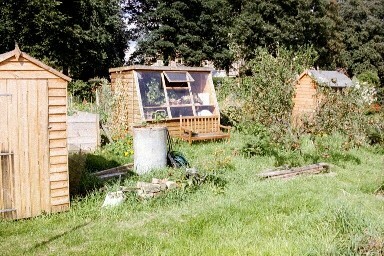 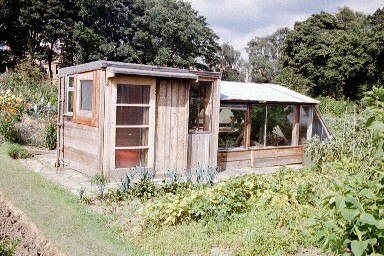 However, it sat derelict for a decade. 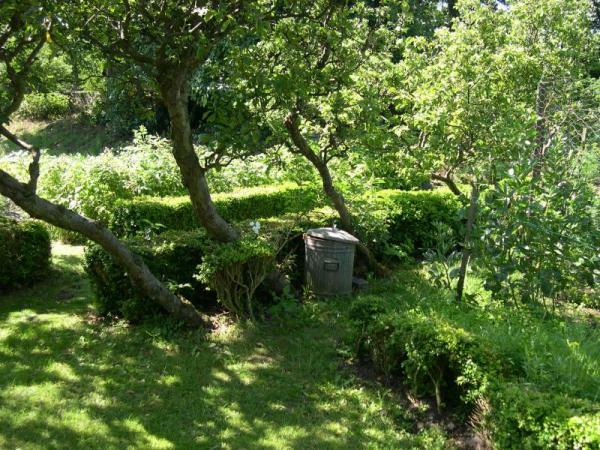 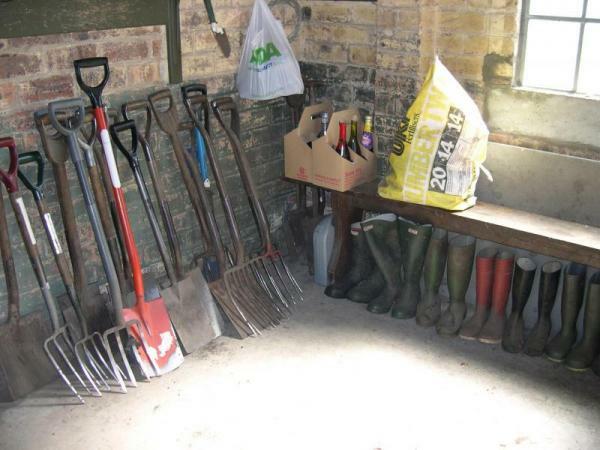 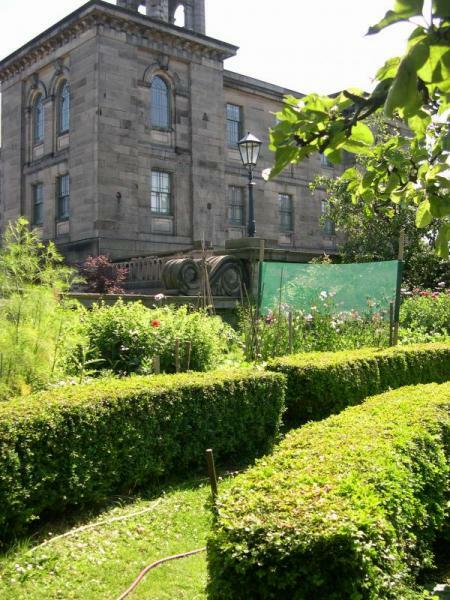 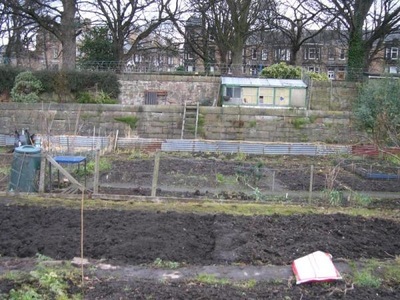 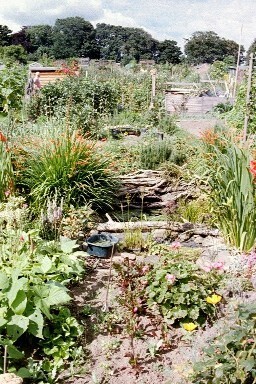 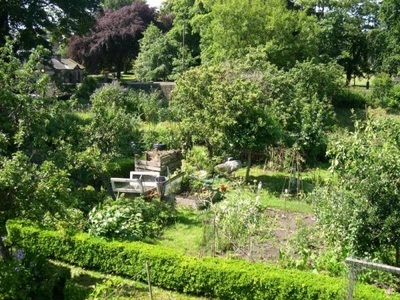 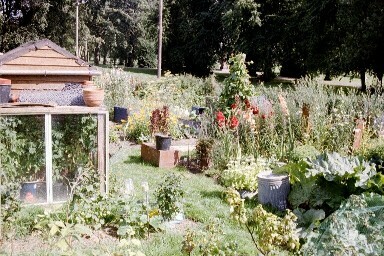 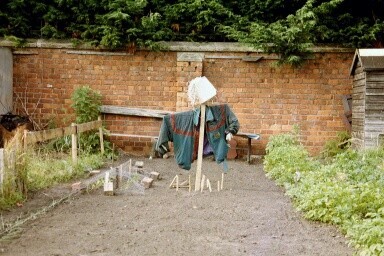 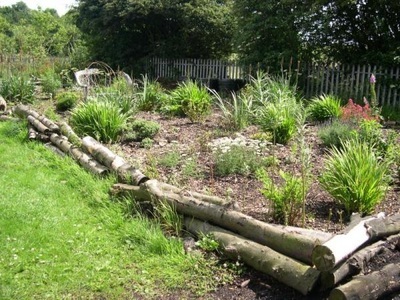 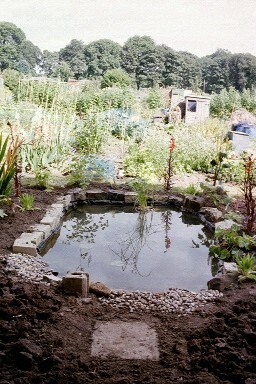 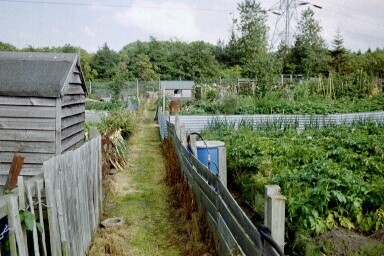 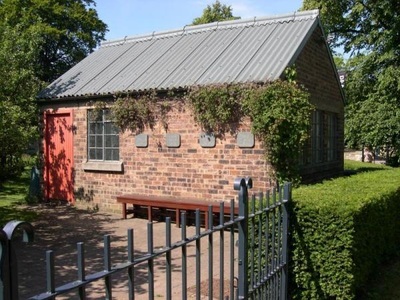 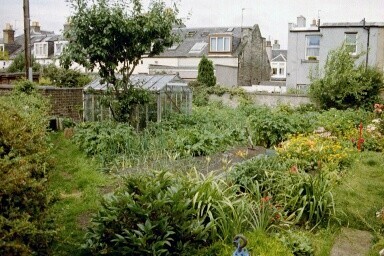 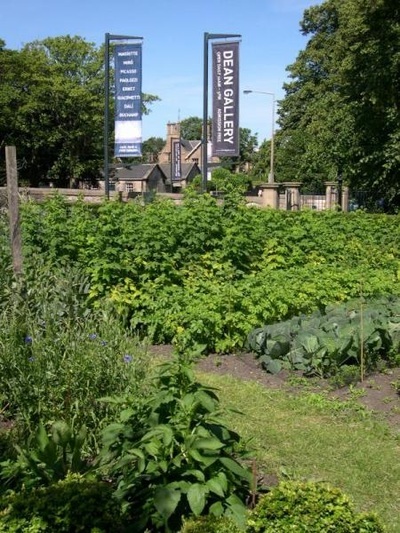 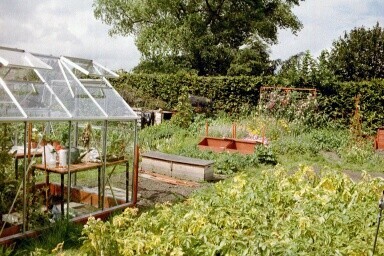 This small site was once the kitchen garden to the orphans home once housed in what is now the Dean Gallery. 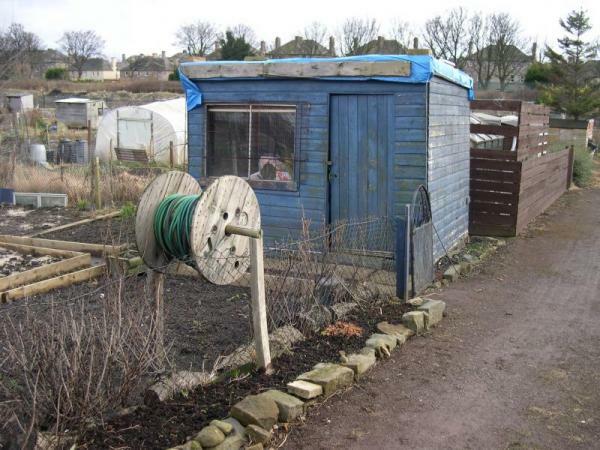 It is independently managed. 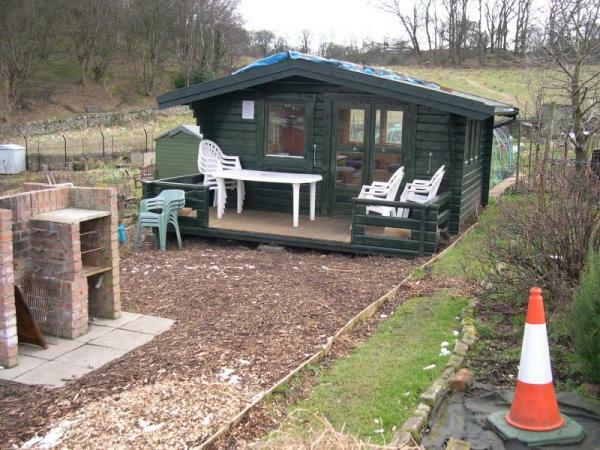 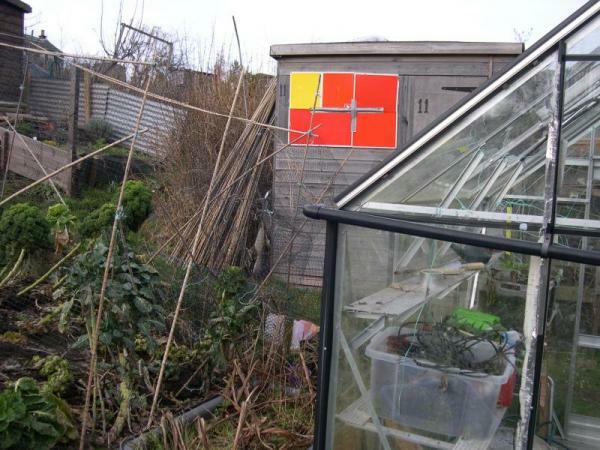 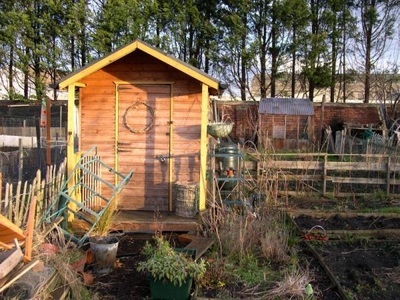 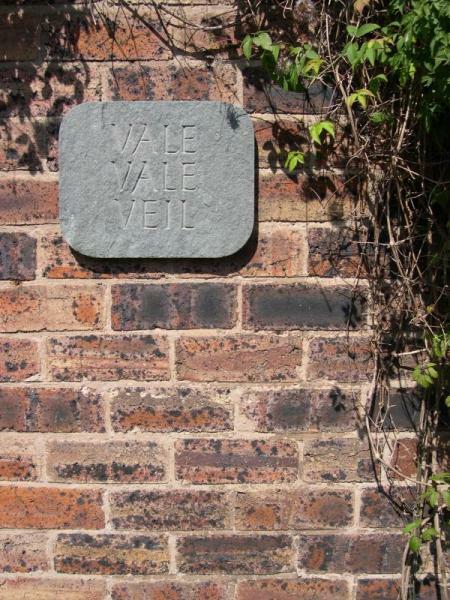 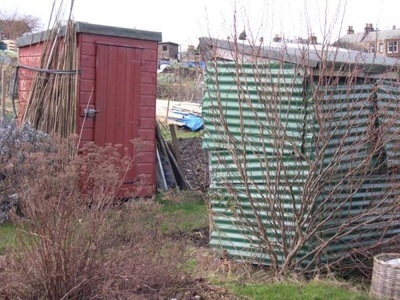 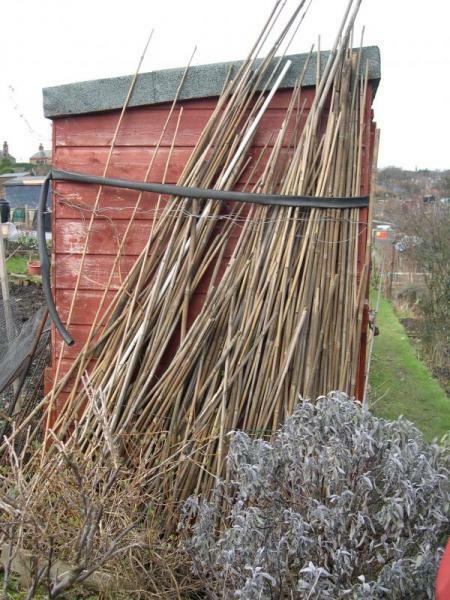 Huts are not allowed but plot holders have access to the large brick-built shed adorned with Ian Hamilton Findlay artwork, surely accommodation superior to anywhere else in Edinburgh. 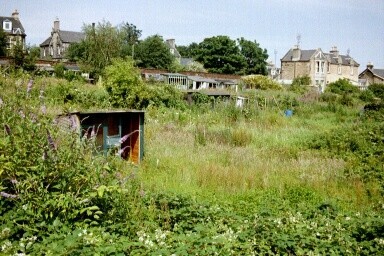 This privately owned site was abandoned and built on around 2004.